A complete digital marketing program involves numerous important components, but high-quality content is the cornerstone of an effective strategy – the kind that gets results. Without awesome content, your digital marketing efforts will stall before they have even taken off. Consider following the guidelines below to craft excellent content for each segment of your sales funnel. The largest section of a funnel is at the top, and the same applies to the sales funnel. Consequently, a large population may be searching for the product or service you offer. Posting frequent, brief, and useful blogs that utilize keywords that describe their problem or need is the best way to drive these readers to your website. This is the point in the sales funnel when your leads have decided to investigate possible solutions for their problem or need. This population is best served with inbound marketing materials that are factual documents, such as reports, webinars, or e-books that answer as many of their questions as possible. These documents should not be intended to sell your product or service – save your sales pitch for later. Now your lead has decided that he needs to make a purchase, and is taking a close look at his available options. This section of your digital marketing sales funnel should feature white papers or reports that help solve business problems for your prospects. Again, it’s not yet time to sell your goods. At the very bottom of your sales funnel, you will find potential customers who have done enough research to narrow down the field to just a few purchasing options. 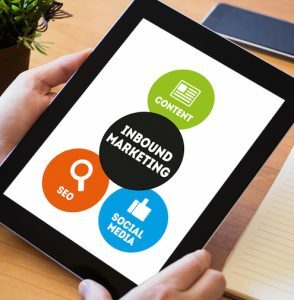 To encourage these potential customers to commit to doing business with you, your inbound marketing content should include offers for free trials or consultations. Once you have decided what kind of documents you will offer to clients at each phase of the sales funnel, it’s time to do some basic keyword research. What words or phrases are people likely to type or speak into Google when they are shopping around for your product or service? There are lots of free tools available that will help you evaluate the strength of your keyword choices. Also consider creating a “voice” from which you will write all of your digital marketing materials. This persona should be a knowledgeable authority figure who wants to help your prospects make the best purchasing decision possible. Writing each of your inbound marketing documents from this character’s point of view will create a unified tone for all of your content. PersistSEO can help you craft an effective inbound marketing strategy to boost sales. Learn more about what goes into an effective digital marketing strategy today. Call us at (770) 580-3736 for a free consultation or you may complete our contact form.